Tonight I discovered that the 3mm wheels I use for bogie pivots actually come in 2 different sorts. The difference us almost imperceptible but it makes all the difference. By checking the whr stock and swapping the bigger ones for these smaller pivots and by a little reaming of the bogie pivot holes I have managed to remove the need for the spacing washer and therefore have cured the ride height problem I had. I also added extra pickups to Gelert which should improve running hopefully. 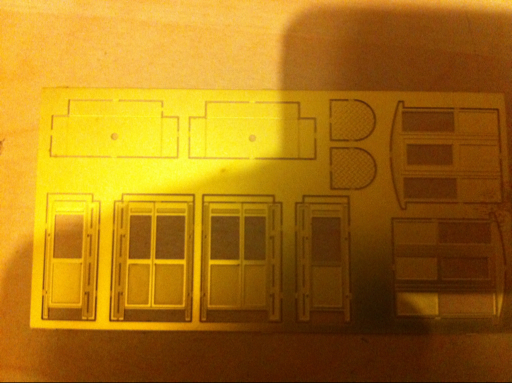 Here we can see more progress on the etched carriage. The first shot shows me (with some help from small fingers) bending over pieces using the jaws if my small vice to keep it all square. The second shot shows the battery boxes and sides soldered up. Some cleaning with a file and fibreglass brush was done but it's not really a visible area so I don't spend too long. Also visible is the flux I use. 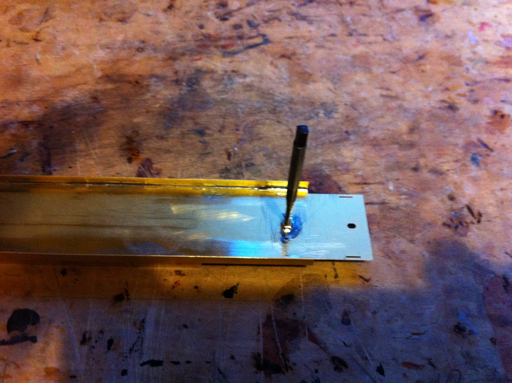 The third shot shows the use of a cocktail stick to position captive nuts for soldering. 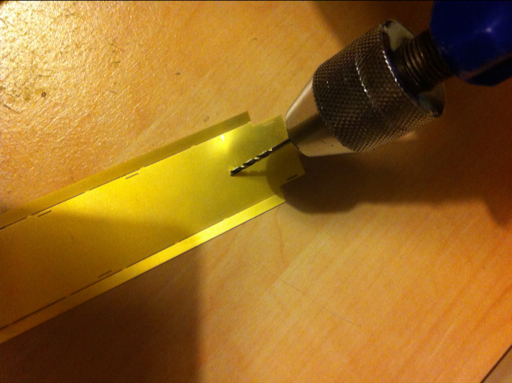 And the fourth shot shows the use if a 10bz taper tap to remove any solder that got into the thread. Mist if the time at least a little has done so. 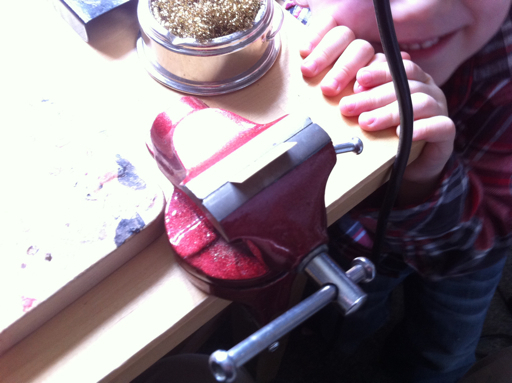 Some people gave clever methods of avoiding this included oiled screws but I find tapping just as easy. The final shot shows a useful jig for using later to ensure the sides and ends are joined square - a simple piece of wood checked to be exactly 90 degrees to the board and then glued down. So here is a better photo of the kit to be built (2043). Starting from top left we have doors, which have side and top folds which are a little fragile so I keep them on the fret until they’re needed. Next to them are the fallplates which I have yet to use on any carr (I may do in the future though) and these are therefore filed away. Next to them are the ends, which are likely to bend if you cut them from the fret so I bend them off the fret, cutting only to free bits of fret to be bent off. On the far top right are the battery box covers – these have useful tabs on top (don’t file them off) and will be soldered to the underside of the floor. In the middle row we have the side and then the buffer beams. Next to them are the lovely steps (gotta love the etching) and then the pieces that sit inside the ends of the carriage keeping a captive nut and allowing the body to be screwed to the floor. I have removed the side wings as mentioned in the last post. and finally at the bottom is the floor. The sides bend up (half etched side on the inside of the fold) and help to keep the sides nice and straight. 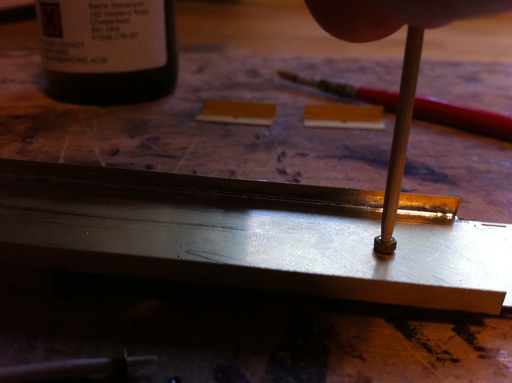 The roof needs to be soldered to the tops of the sides and ends and rolled from brass sheet (or a beer can if you prefer). Here's the story of an etched carriage kit. 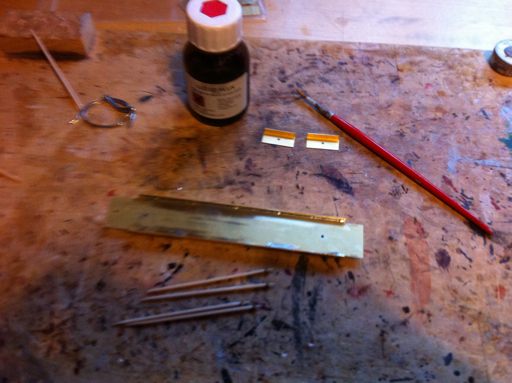 This kit is a Worsley works scratch aid setup for the whr saloon 2043. This is being rebuilt as the first one was used for test painting and as it was not up to standard was sold. 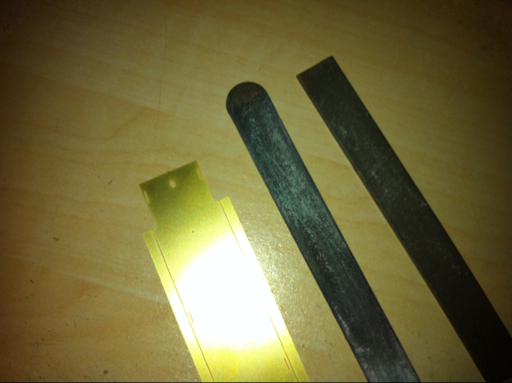 So we start with the etches and cut them carefully from the fret using tin snips. Where the part is large enough and there is little risk if damage to the part from bending as the snips cut I cut close to the part removing most of the tab. However on smaller parts I suggest you cut to leave the tab or even cut leaving a bit of fret with the part and then bend the fret repeatedly to break the fret piece off. Once the pieces are out you can clean up the tabs. I use a 2nd cut file and then finish with a boots nail file. This leaves a tidy finish. I then drill the 2 bogie pivot holes out to take 10ba screws. 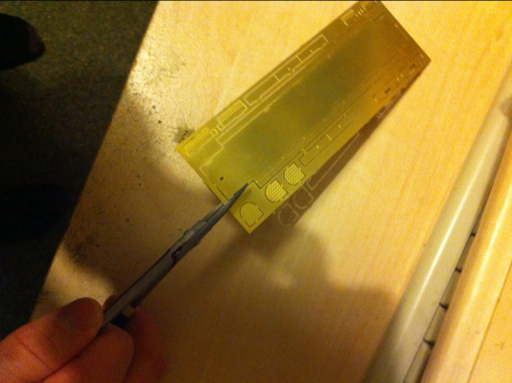 That is the general prep before any soldering begins. On this kit we also have some more complex door pieces which require folding up later. Don't accidentally cut these off imagining them as tabs! Worsley include end pieces that fit inside the body and are used to hold captive nuts securing the floor which is removable. The roof is fixed. These have 90 degree folds to make to the sides and back. Except that I find the tolerances to be far too close (get it wrong and one of your carriage sides will bow out at the bottom!) 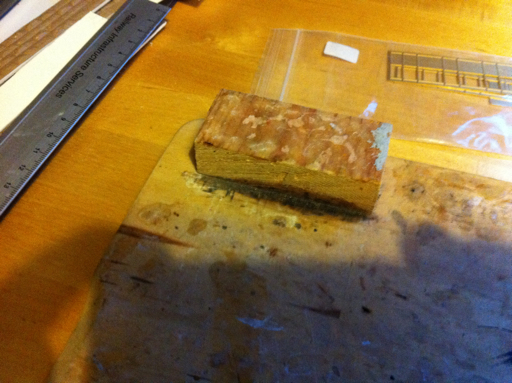 and so I cut off the side pieces and use the remaining piece as if it were a single angle just there to hold the nut. A hood soldered 90 degree joint between carriage end and side will not require these extra wings. I will show this in future images. The next post will build up the general shape of the Carr. The show is billed as the south's leading small scale narrow gauge model railway exhibition. It is proudly presented by the Wessex Narrow Gauge Modellers and will be their 11th show. It will be host to the 009 Society's Annual General Meeting too. Thanks to some excellent tips on the NGRM forum and plenty of time to ponder whilst in a Canadian airport lounge I have devised a plan to stow the layout when in transit. This will allow the use of a ford transit type van rather than the huge box van we used for expong. This means it's cheaper for exhibition organisers, easier to drive and unload plus I can hire one much more locally than the box van. Two of these racks will secure 6 of the boards (all the scenic ones) meaning that only the hidden sidings board (6 ft long) and the odd shaped corner (question Mark board) would be stored on their own. This plus legs, stock etc mean it will all fit in a LWB transit easily and possibly even in something smaller. I will get on with constructing these as they will also serve as easy storage for when the layout is not erected in the garage, like now!